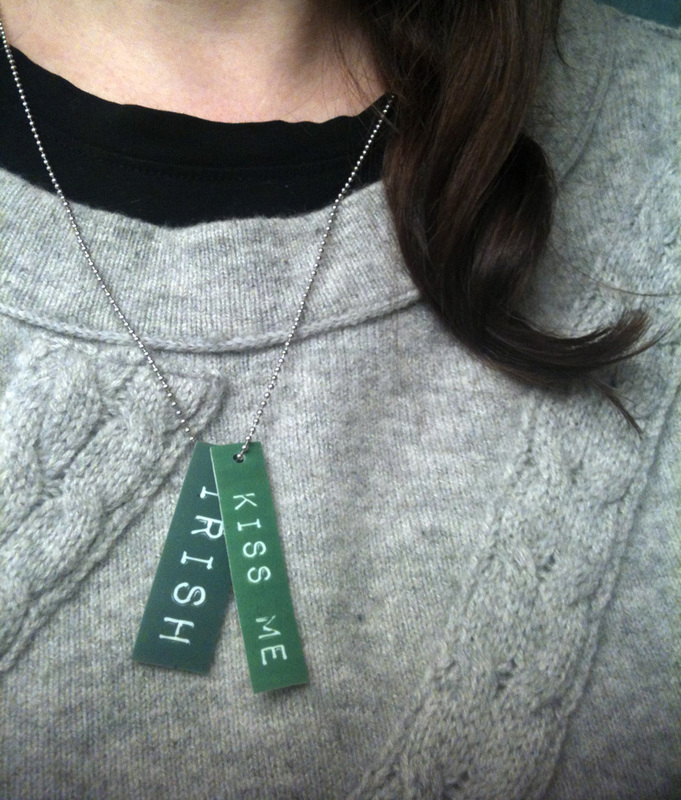 Erin go bragh (Ireland forever for those of you who don’t speak Gaelic)! It’s almost St. Patrick’s Day and you know what that means. Rainbows, leprechauns, shamrocks, and lots and lots of green! 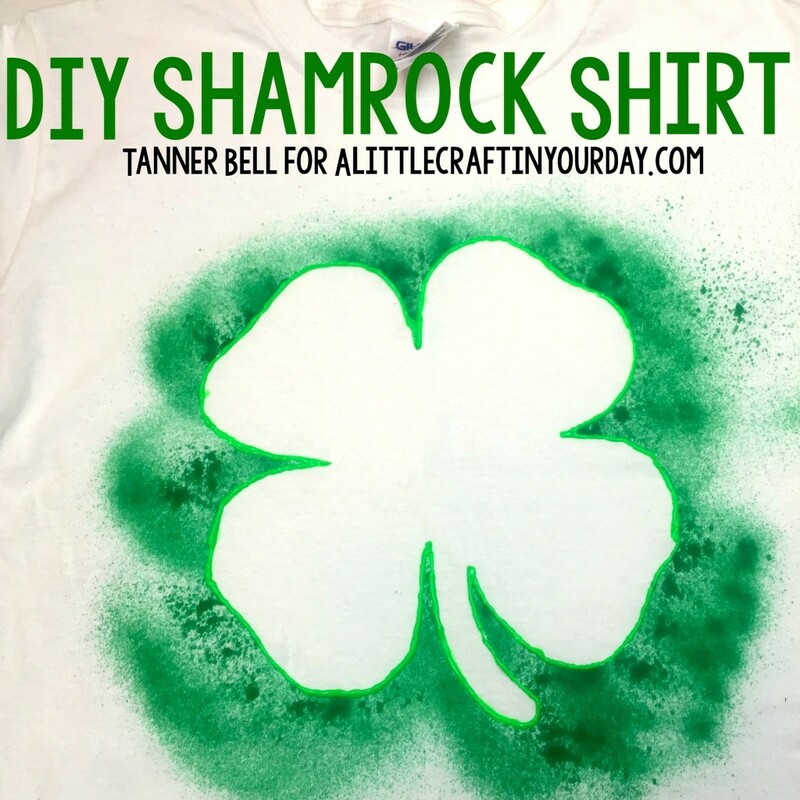 Since we are all Irish on St. Patrick’s Day, we thought you might be looking for some great ideas for fun projects to celebrate. So, we’ve rounded up some of our favorites here. You could add this shamrock bow from Dollar Store Crafts to a wreath or basket or make a smaller version to wear in your hair. So, what will you make to show your Irish spirit this St. Patrick’s Day? Let us know in the comments below. Tie dye has come a long way. Of course there’s still the old reliable (and fun!) rubber band method, but tie dye has advanced way beyond that now. Tie Dye T-shirt Headband from DIY Candy: There are so many different methods and techniques and each project is unique. It’s a quick, easy, and economical way to add some personality to a new item or to give new life to an old one. Ice Dyed Pillows from Me Sew Crazy: With these tie dye projects, you can make something new to wear, something new for your home, or a great gift to give to a friend. Spring is coming and it’s time to get colorful! Have you ever seen Indigo Shibori tie dye before? These 16 projects from Homey Oh My showcase just how beautiful it can be. You won’t believe what this technique from Me Sew Crazy uses! It’s an ice tie dye method! This salt resist tie dye technique from FaveCrafts creates a subtle textured design. Wow! There are so many tie dye variations to try. It’s a great way to customize items to reflect your personality or to match something you already own. Need Even More Tie Dye? 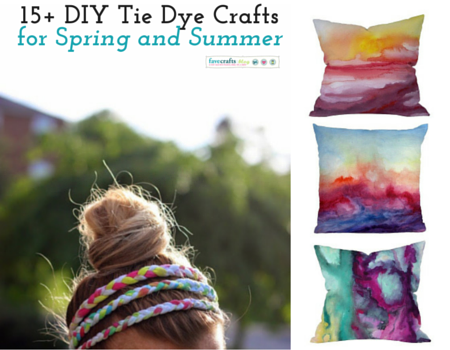 Looking for more tie dye craft project ideas and tutorials? Check out our massive list of 100+ Tie Dye Patterns and Techniques for any and all tie dye ideas you might be looking for! With so many projects to choose from, what will you tie dye? Let us know in the comments below. Can you believe it? Valentine’s Day is this weekend! It always seems to sneak up on us. One minute it’s Christmas and then suddenly, we’re running behind for Valentine’s Day. Are you in a last minute rush when it comes to the holiday too? Valentines for your kids to take to school, something sweet for your significant other, an “I’m thinking of you” for your best friend. It can feel overwhelming and like time is running out. Don’t worry. We’re here to help. We’ve rounded up some adorable free printable Valentines for you. Some are perfect as is and others are great for matching up with a simple little treat. You’re sure to find something for everyone here. 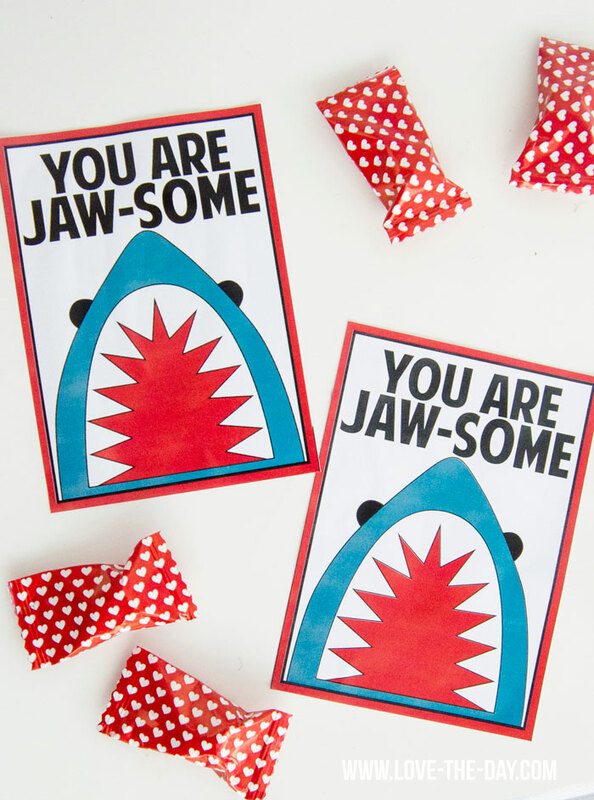 Shark fans will love these “You are jaw-some!” themed Valentines from Love the Day. Pick up some donuts to share with your friends. They’ll be perfect with these “Do-nut forget” Valentines from The 36th Avenue. Just as they are or with a box of crayons attached, these fun color by number Valentines from A Mom’s Take will keep kids busy! These funny cards from Landee See Landee Do for your significant other celebrate the reality of life together with such sentiments as “You’re the one I want to be next to when you’re on your computer and I’m on mine”. Simple and sweet Valentines from A Little Craft in Your Day make it easy to get ready for the big day without even having to leave your house! The kids can give their friends a Valentine and game in one with these Tic Tac Toe Valentines from Simm Works Family. Love typography and chalkboards? You’re going to love these charming Valentines from We Lived Happily Ever After. Kids love I Spy games and they’re going to love these I Spy themed Valentines from Live Laugh Rowe. Or how about a word scramble? 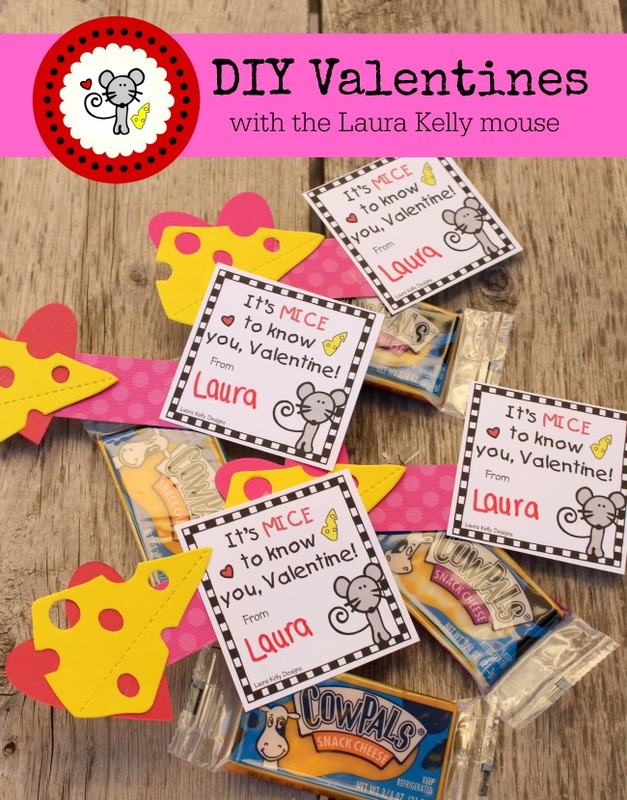 They’ll have so much fun with these Valentines from Moritz Fine Blog Designs, they won’t realize they’re educational too! 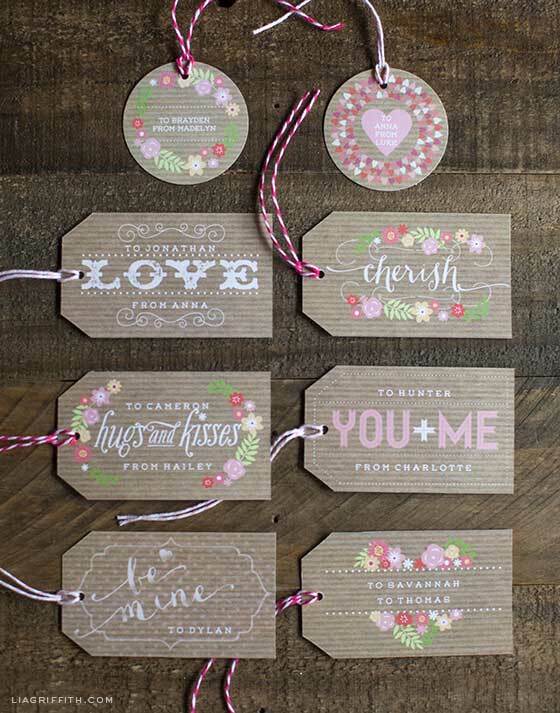 Sweet, feminine designs on these Valentine tags from Lia Griffith make them perfect for giving to your best friends. Now, wasn’t that easy? Showing your love at Valentine’s Day shouldn’t be a chore and now it doesn’t have to be. Pull out the printer, load up the ink, and start printing. You’ll be all set for Valentine’s Day in no time! What’s your favorite part of Valentine’s Day? Share in the comments below. What are the trickiest areas of your home when it comes to getting organized? Maybe it’s the jewelry and fashion accessories in your bedroom. Or perhaps it’s your desk and office area that is most in need of an efficiency makeover. If you’re here on FaveCrafts Blog, then we’re guessing that your craft room needs a little help too. No one wants to have to go on a scavenger hunt through their house every time they need to find something simple. A few simple projects to declutter and corral all those little bits and piece will show you how to organize and have your supplies in order in no time. We know that sometimes, knowing how to organize seems to be just too hard, too expensive, and too unattractive. 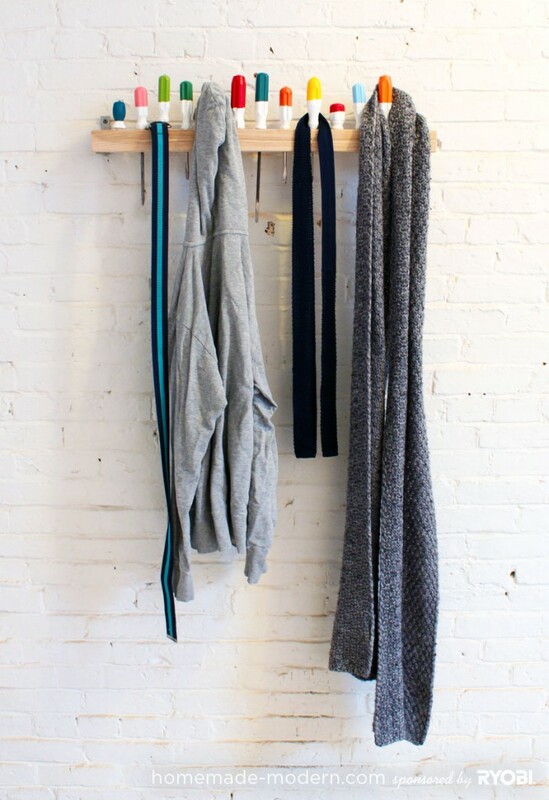 We’re here with DIY organization ideas to show you it doesn’t have to be! There are lots of ways to get your kitchen, office, bedroom, craft room, or any other part of your home organized quickly and easily. We’ve rounded up 14 of these clever DIY organization ideas below and we just know you’re going to love how simple they are. 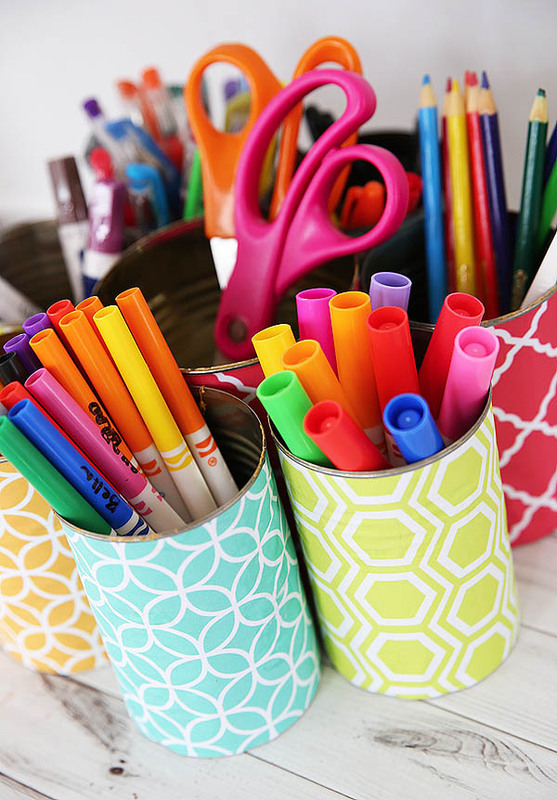 Best of all, these DIY organization crafts are positively adorable too! See? There are lots of great ideas for getting your house into tip-top organized shape using inexpensive recycled materials. Next time you’re about to toss out those cardboard tubes, empty plastic bottles, aluminum cans, cartons, boxes, or other potentially useful things, have a look at them with an eye to tidying up and having a home for each and every item. Which part of your home is most in need of organization? Share your clutter hot spots in the comments below! 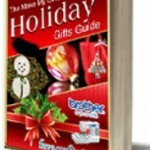 Christmas is quickly approaching, and it is just about time to decorate your tree! 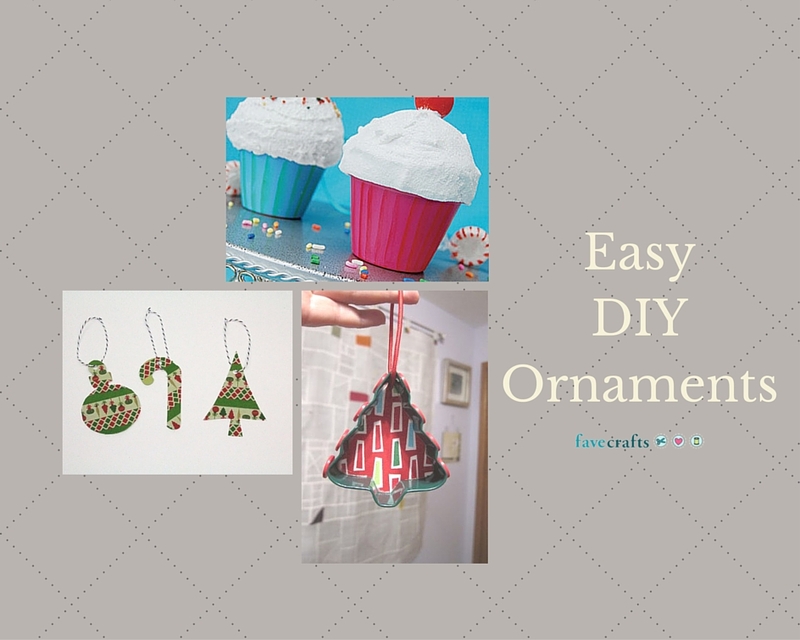 What better way to decorate your Christmas tree than to incorporate some DIY ornaments? These handmade ornaments will make your Christmas even more meaningful. You’ll be able to spend time with family and friends creating these easy DIY ornaments and all your guests will see your hard work on your tree. Just think about the wonderful memories that will be brought to mind every time you look at the tree. There’s just something extra special about handmade Christmas decorations and to know that these crafty creations were the result of some time spent with loved ones is just magical! Save these DIY ornaments and bring them out year after year. As you decorate the tree with your family, you will all be able to relive the fun you had making them. And when the kids are older and move away, you can send some of those ornaments along with them for their own Christmas trees. They will be continuing the tradition with their families and cherishing the memories from years gone by. There are so many fun DIY ornament ideas to choose from – you are surely going to find something for everyone in this list! Are there any other easy DIY Ornaments you’d like to share? Write about them in the comment box below! Summer is such a fantastic time for crafting with kids because without homework, they have extra time to get outside to work on summer projects and try easy science experiments. Best of all, doing crafts with your kids is a great way to get the entire family together. Not sure what to make? Craft ideas for kids are so much fun to search for. I know, because I took care of it for you! I found crafts using recycled items, I found crafts using paint, I even found easy crafts for kids that light up. Your summer is gonna rock! Are there any other easy crafts for kids you’d like to share! Write about them in the comment box below! Don’t you just love browsing at the thrift store? There are always so many interesting–and often unusual– things to find there. It can almost be like a treasure hunt, especially when you dig through all the rows of items in order to uncover that one amazing hidden gem. 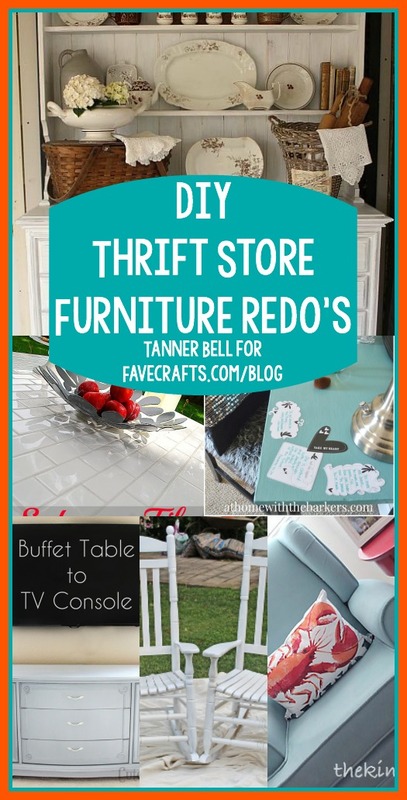 I don’t know about you, but my favorite thing to hunt for at thrift shops are old tables, chairs, and dressers I can give a DIY furniture makeover. The great news is, if you go into thrift store with a little creativity in mind, nearly any item has the potential for a DIY furniture makeover! Need some inspiration before you go hunting? We’ve collected some of the best DIY furniture ideas from across the web. Learn how to paint an old table or upcycle a chair for your living room! 2. Coordinating his and hers personalized rocking chairs from FaveCrafts. 10. Old bookcase made modern with trendy chevron stripes from FaveCrafts. Leave us a comment and tell us which DIY furniture makeover is your favorite! Mother’s Day is coming up quickly and will be here before we know it. I can’t speak for your mom, but I do know that most mothers love reciving handmade gifts more than anything. Don’t you think that a handmade Mother’s Day DIY project would be a perfect gift for her this year? Moms love the personal touches that come with handmade gifts. Today on the blog we are sharing 15 cute Mother’s Day DIY gift ideas that you can make for your mom. You may get overwhelmed with cute mother’s day DIY projects, but that is okay. You can make her one of your favorites; we have tried to make these projects quick and easy to create! My personal favorite Mother’s Day gift idea is #11; this DIY Gold Foil Polka Dot shirt from DIY Candy is a very trendy gift idea that any mother would love to receive. You will not believe how easy it is to give a DIY gold foil look to all of your DIY projects. Which one is your favorite? Be sure to leave me a comment and let me know which is your favorite! With all these DIY ideas you’re going to outdo all of your siblings and make your mom feel beyond special. 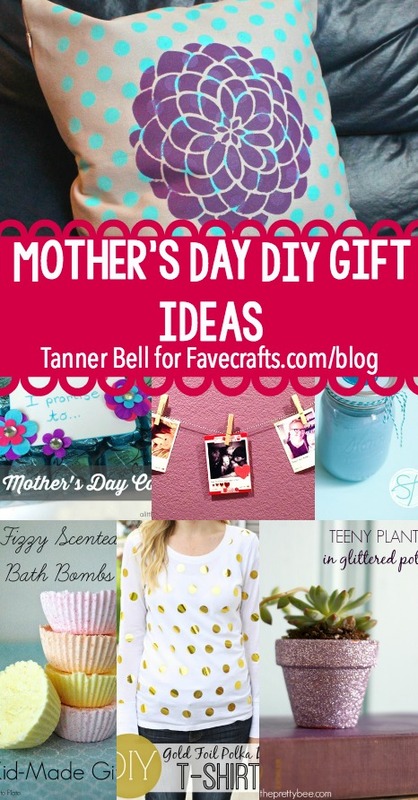 Follow FaveCrafts’s board Mother’s Day Crafts on Pinterest. I just love it when I can take something from around my house that might normally end up in the trash and make it into something beautiful or useful. It’s not only economical but it helps the environment too! Earth Day is coming up but let’s find ways to take care of the earth every single day. Recycling items we would normally toss away or items we no longer have a use for (at least as they are now) is a great way to start. Paper towel rolls, bottle caps, old magazines, cereal boxes, soda cans…the possibilities are endless. Sometimes it’s just a matter of trying to look at the item differently. Instead of seeing it as trash, look at it as a chance to be creative and think outside the box. And if you’re stumped for ideas, don’t worry. I’ve gathered 14 of my favorite craft projects using recycled items together here for you. There are some great crafts here for kids and teens like the tin can wind chimes, soda can tab belt, and the t-shirt shag rug. That sumo wrestler plastic bottle bowling set is adorable! I just love the soda can camera and the honey bear vases myself. They are so unique and creative! They would both make great accent pieces in any room. But don’t think you can’t make crafty projects using recycled materials for adults too. Check out the coiled magazine bowl and DIY desk organizer for starters. The options are limitless. 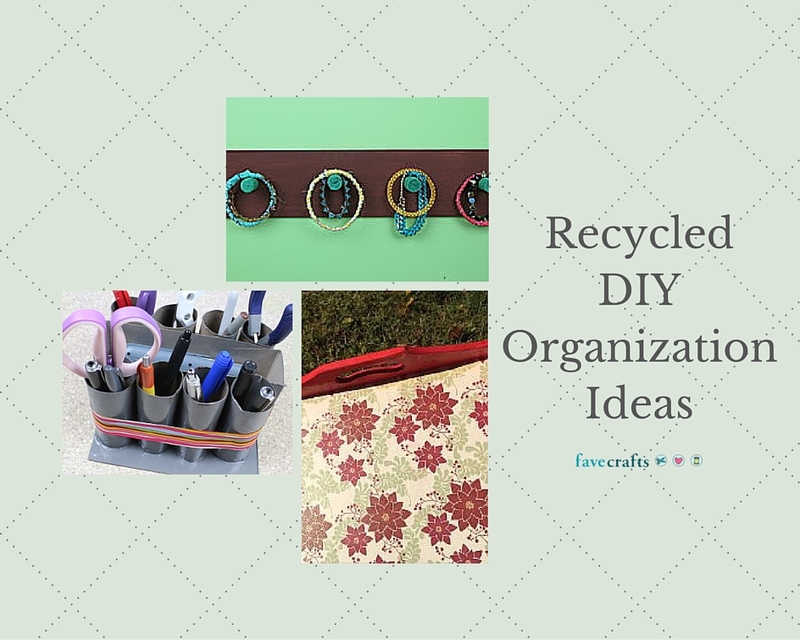 You can use recycled materials to make jewelry and fashion, home décor pieces, items to help you get organized and even toys. 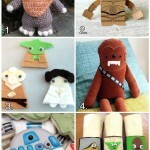 Which of these recycled material crafts is your favorite? 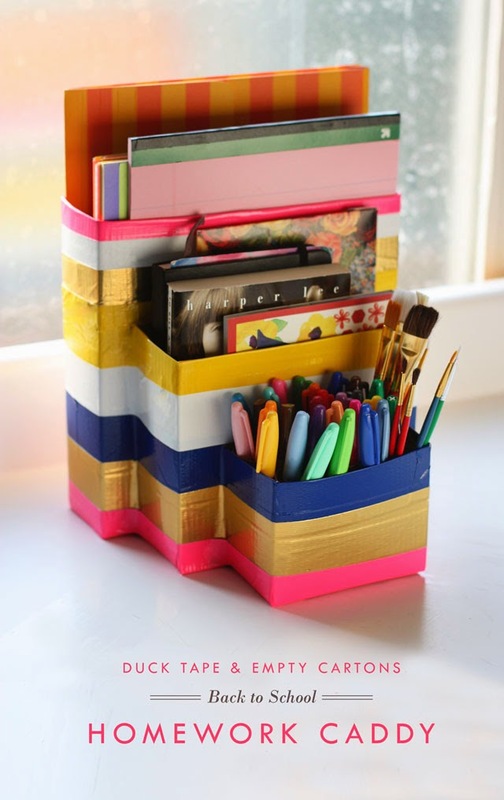 Go raid your recycling bin and see what you can make! Follow FaveCrafts’s board Recycling Crafts on Pinterest. I love buttons. If you’re like me, you have thousands of buttons that just sit in your craft area and you never know how to use them! I seriously have a whole shelf of mason jars full of buttons. Recently I decided that it was time to put them to use. Today I’ve rounded up 18 different DIY tutorials that incorporate buttons. A lot of the projects that I’m featuring today will use up a lot of your button stash. If you’re a daily coffee drinker, I would recommend checking out #16. The Fabric Coffee Sleeve is going to be your best friend and it shares a unique way to use buttons. I believe my favorite DIY button craft is #11 which is the Giant Button Garland from Little Red Window! I love how easy the tutorial is and I think this would look awesome in my craft room. Below is a recycled DIY Napkin Holder video that I created on the FaveCrafts Youtube Channel, which I used buttons on! I think the buttons werea great way to finish off the project. I personally love the idea of using buttons to create trendy fashion projects. Whether it being button earrings or a cool resin button bracelet, incorporating buttons into your wardrobe is so much fun! Tell us: What’s your favorite way to craft with buttons? Follow FaveCrafts’s board Button Crafts on Pinterest.